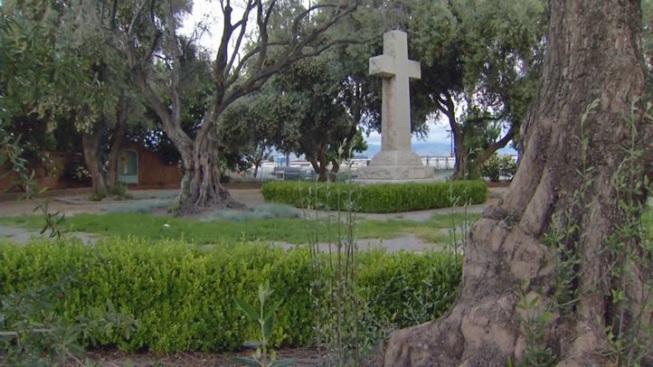 The battle over a large iconic cross in the South Bay has come to an end. After standing in Santa Clara for more than six decades, the 14-foot cross was taken down -- by a lawsuit. A Santa Clara man and Wisconsin-based Freedom from Religion Foundation sued the city last April, claiming the cross violated the separation of church and state because it stood in a public park. "We are happy that the city divested itself of this religious symbol, and that the constitution is now being complied with," said Rebecca Markert, attorney for Freedom From Religion Foundation. The granite cross was donated by the Santa Clara Lion's Club in 1953 to mark the site of the second Spanish Catholic mission established in the city in 1777. City councilmembers settled with the man who filed the suit, and said a compromise was necessary. "Some people feel like we've caved in or succumbed to the arguments of a relatively small number of people, but as I said, they do have a number of legal precedents on their side," councilmember Teresa O'Neill said. As part of the settlement, the city donated the cross to Santa Clara University, where it will be placed on campus in the future.